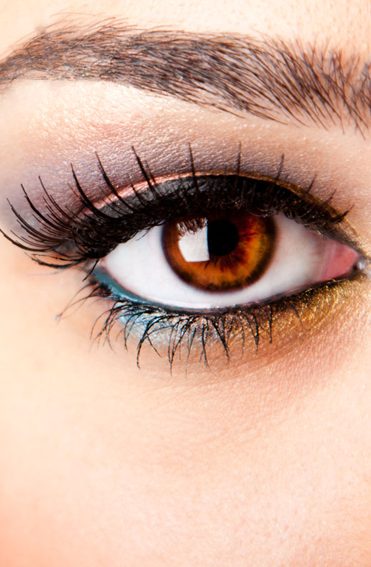 Enhance and open up your beautiful eyes with our eyelash extensions and tinting options. Sharpen your features with a brow treatment to frame your face. Remember ladies, a good eyebrow shape is the ‘shoulder pad’ of the face. Choose from a selection of beautiful treatments including Billion Dollar Brows and HD Brows. Note: we strongly recommend a 48hr patch test prior to treatment. LVL straightens your natural eyelashes at the root, so unlike a traditional lash perm it creates the effect of longer lifted lashes. The results are immediate, plus the added lash tint gives that mascara type effect so you are always ready to! This treatment is a perfect alternative to false lash extensions, giving length and volume to your natural lashes. €60. Applied in 30-40 minutes, these lashes will last 2-3 weeks and will give you a dramatic full, long lash! Applied in 30-40 minutes, these lashes will last 2-3 weeks and will give you a natural looking fuller, longer lash! Going somewhere special for the day/night ? These strip lashes will give you a perfect flirty look !! Perfect lashes to last the weekend ( last for 3-7 days ). Soak off €15. Our eyelash extensions are an “instant pretty” for any woman who desires for longer, fuller lashes. Eyelash extensions are meticulously applied lash-by-lash, bonded with award-winning medical-grade adhesives, by certified professional therapists. They are weightless, wonderful and truly transformative. Achieve the look you dream of as lashes come in different lengths. Last up to 4 weeks with first application. Perfect for holidays or a special occasion! Can be refilled, a medical bond is used to fix the individual extensions. HD BROWS is an Advanced Brow Design Treatment that sculpts your brows like never before! Your Brow Designer will customise a look to suit your Face & Eye Shape. Once you try this amazing treatment you’ll never look back! HD BROWS combines Tinting, Threading, Waxing, Trimming, Tweezing and Make-Up to create the perfect brow shape. HD BROWS is more than just shaping your brows, it is the art of sculpting the perfect brow! Don’t worry if there isn’t enough hair to create your perfect arch immediately, we’ll put you on a regrowth programme and work with you every step of the way to achieve the perfect brow for you.